Free Just Kidz Sounds | A Savings WOW! – Search for “Sears” on topcashback. – You will be taken to the Sears website after you click on the “$5.75 Cashback” orange button. – Use the searchbar to search for Just Kidz Sounds ‘n Rattle Keys. 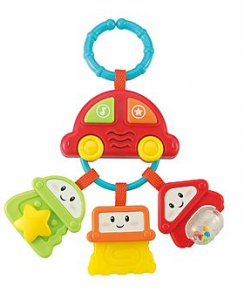 – It should locate the Just Kidz Sounds ‘n Rattle Keys product – make sure it is listed for $5. – To get the full $5.75 cashback, add ONLY the Just Kidz Sounds ‘n Rattle Keys to your cart and choose in-store pickup. One of my friends is a personal shopper! Great program!